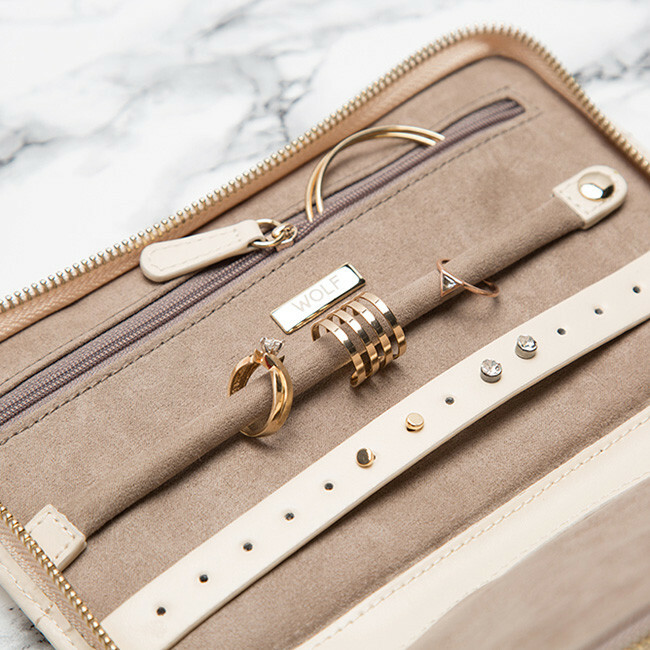 This chic jewelry portfolio is from Wolf's Caroline collection. 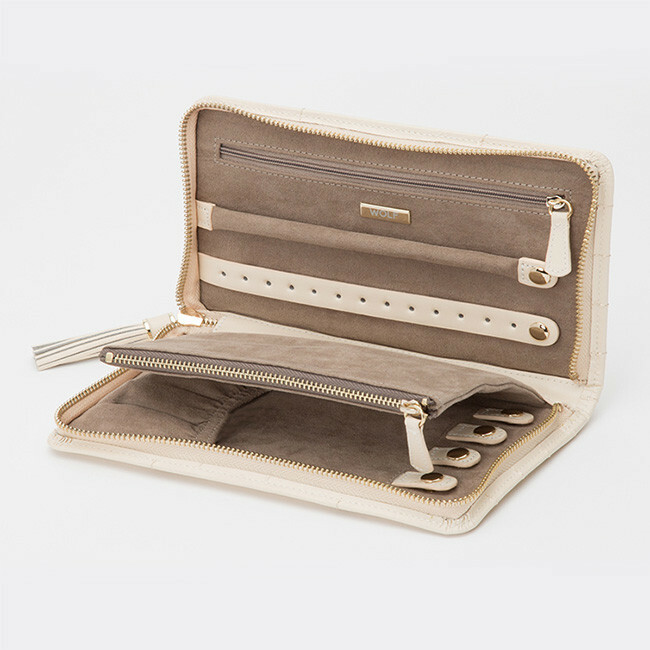 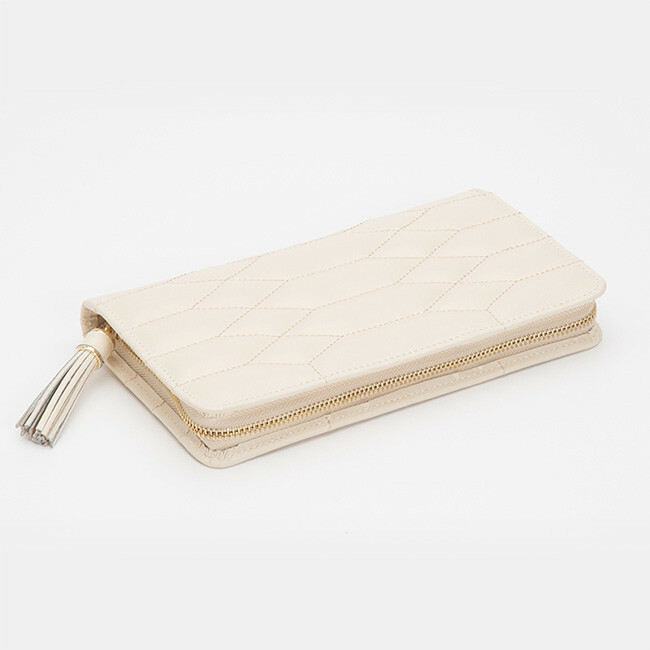 Crafted in ivory leather with a quilted exterior with gold hardware and accents, the case, lined with an anti-tarnish fabric, features 13 earrings holes, one ring roll, two compartments and four necklace holders with pocket. 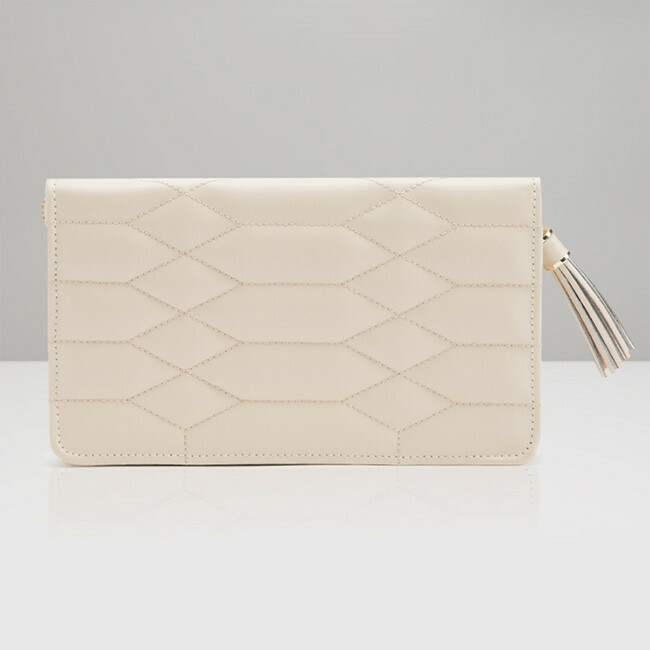 A leather tassel adds a delightful detail. 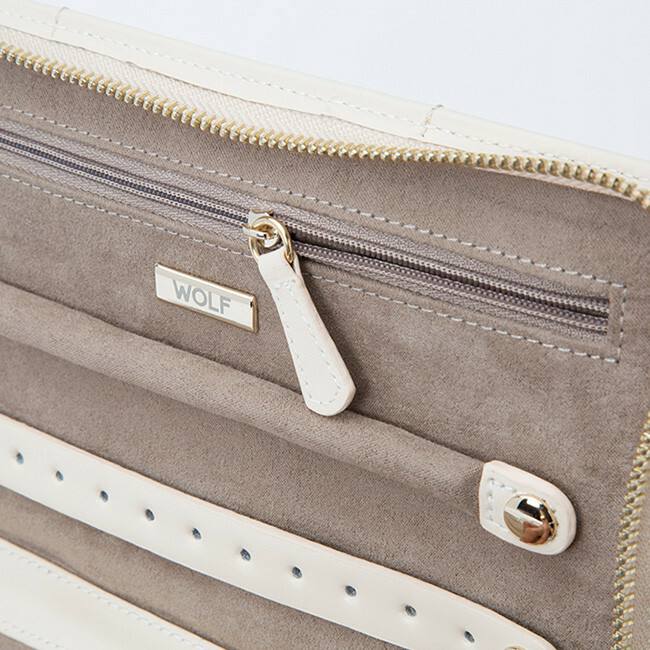 This Wolf jewelry portfolio offers a distinguished storage option.